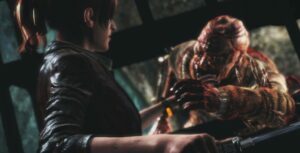 Resident evil is one the longest running video game franchize in the world and in its 7th iteration it seems like the the game has re-invented itself into a extremly polished and fine first person shooter horror survivor game. 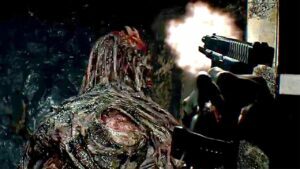 For the first time the resident evil franchize has tried its hands on the first person shooter prospective, and we must agree that the extremly detailed graphics along with a tense and brutal gameplay makes the game even more compelling and enjoyable to play than its previous iterations. A special mention of the extreamly accurate and enjoyable Music and the engrossing environment really makes the game stand out than the previous iteratiobn of the game or any other horror games of our times. The game is a first person shooter now, instead of its previous iterations where the game was a third person shooter, the gameplay pace is on the relatively sower side and this creates a sense of anticipation for the next move. 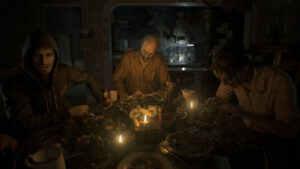 Due to the slower gameplay, the enemies seems scarier and some of them are really really “hard to defete”, all along the story`s progressions the game suceeds in instilling a sense of tension and horror in you while playing the game, at certain point your senses will be hightened to the level that a minuscle detail will scare you. Incidently we can say that the USP of the game is increasingly horryfying and tense sceanes which takes a real toll on the players and the intensity of all the experiences increases as we progress in the game storyline. The game successfully balances Horror, Exploration and Action aspects and the new First person shooter prospective adds a higher sense of immersiveness into the game. Resident evil seven is probably the best Resident evil ever.